It’s the end of another busy—and rewarding—year here at the Faculty of Fine Arts, where there was never any shortage of things to keep everyone busy. With five departments offering literally hundreds of annual concerts, theatrical productions, readings, exhibits, symposiums and lectures by visiting artists, academics and professionals, Fine Arts remains one of the most community-engaged faculties on campus. Here’s a quick wrap-up featuring some—but certainly not all—of the leading Fine Arts stories of the year. 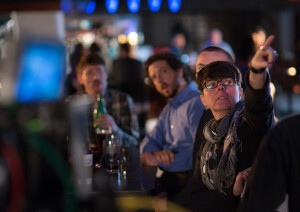 It was quite the year for Department of Visual Arts professor Sandra Meigs. Hot on the heels of being named one of eight recipients of the Governor General’s Awards for Visual and Media Arts in March—an honour that saw her work featured in a special curated exhibit at the National Gallery of Canada this past summer—she presented her most recent solo exhibit of new work, All to All, at Toronto’s acclaimed Susan Hobbs Gallery. Plus, she was announced as the winner of the $50,000 2015 Gershon Iskowitz Prize at the AGO in October, an award that also comes with a solo show at the Art Gallery of Ontario and a further $10,000 towards a publication on her work. Read more about Meigs’ successes here and here. 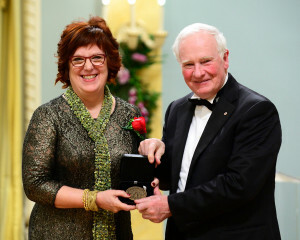 More than 400 of Canada’s brightest academic minds converged on Victoria in November when the Royal Society of Canada—Canada’s national academy—honoured three of our own. 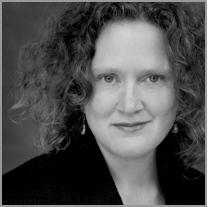 Celebrated playwright, Writing professor and UVic alumna Joan MacLeod was one of three UVic professors elected as new fellows, while noted composer and Music professor Dániel Péter Biró was elected as one of three new members of the College of New Scholars, Artists and Scientists. 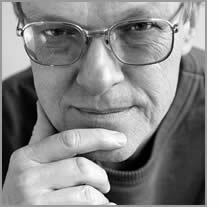 Finally, acclaimed author and retired Writing professor Jack Hodgins was presented with the RSC’s 2014 Pierce Medal for outstanding achievement in imaginative literature. Find out more about UVic’s Royal Society connections here. 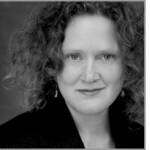 Columbia: Eight Ways of Making Culture—the latest book by noted cultural historian Dr. Maria Tippett. “UVic has always impressed me as being sensitive to art in British Columbia, and is a superb place to launch the book,” noted the Governor General’s Award-winning Tippett. 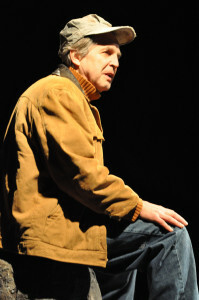 It was a packed event with nary a seat in the house and, despite nearly having to cancel due to ill health, Tippett proved a real trouper and carried on with a fantastic event. Read more about the book here. 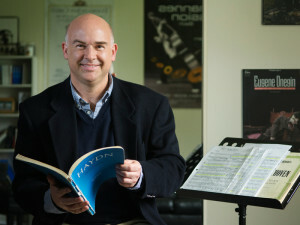 A tenor of international renown with a repertoire ranging from baroque to classical and contemporary, Music professor Benjamin Butterfield was announced in June as the 2015 winner of UVic’s Craigdarroch Award for Excellence in Artistic Expression. “The measure of Professor Butterfield’s impact on the musical world can truly be found in how he applies his talent and expertise to the training of a new generation of singers,” says Dr. Susan Lewis. “He makes the difference for young singers, providing both inspiration and sound teaching to prepare them for the world stage.” Discover more about Butterfield here. and colleges to conservatory programs—converge on the Phoenix. 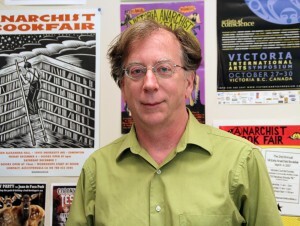 “It’s good for UVic to host a discussion where we’re questioning all the things we’ve taken for granted for decades—that acting always comes out of a printed script,” says Alexandrowicz. “We’re under a lot of pressure to think of theatre training as a greater part of a liberal arts education, so we should be including people from all across campus, people who want to learn about performance but have no interest in professional acting per se.” Read the original Ring article here. spent his summer. Antliff was recently announced as the inaugural Research Fellow in Residence at the Clyfford Still Museum Research Center in Denver, Colorado. Named for the famed American painter—whom Antliff describes as “a leading artist in the abstract expressionist movement”—the position at the CSM represented an exciting opportunity. “No scholars apart from those at the CSM have had access to his archive or library before this—I’m getting first crack at it,” said Antliff, who spent two months on site. Read more about Clyfford Still here. 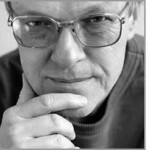 Joining Visual Arts from the University of Manitoba is sculptor and photographer Cedric Bomford. “[His] career is on a upward trajectory as evidenced by an international exhibition record and his work being recently nominated for the prestigious 2014 Sobey Award,” noted Visual Arts chair Paul Walde. An impressive 26 nominations in the 2015 Leo Awards for films created by Department of Writing faculty and alumni proves we’re punching above our weight when it comes to film futures—truly, a surprising number for a university that doesn’t even have a film production program. “Film is just a development of the Writing department’s already well-known streams,” says film professor Maureen Bradley, whose groundbreaking feature film Two 4 One (produced by Fine Arts Digital Media Technician Daniel Hogg) was nominated for six awards. “I don’t know anywhere else in the country where this is happening. There are good student films being made, but they’re not being driven by faculty [led-courses].” Read more about our film course here. 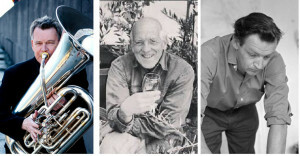 Finally, this past year saw the passing of three important figures in the Faculty’s history: School of Music professor Gene Dowling, Visual Arts professor Don Harvey, and Writing professor Dave Godfrey. An inspirational teacher and invaluable colleague, Dowling passed away in June. “He showed incredible generosity and thoughtfulness towards his students and helped make the School of Music a great place to be,” says Acting Dean of Fine Arts and former School of Music Director Susan Lewis. 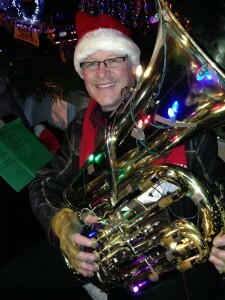 When it comes to the sounds of the holiday season, nothing says Christmas quite like a tuba. And, for 37 years now, Victoria’s Tuba Christmas Ensemble has been playing carols and raising funds for charities, becoming a cherished holiday event in the process. Once again, the euphonious tones of massed, low-brass instruments will be heard from 1-3pm Saturday, December 12, at downtown’s Market Square (560 Johnson), and again at the annual Tuba Christmas Reprise Recital at 8pm Sunday, December 13, in UVic’s Phillip T. Young Recital Hall. Admission to both is by donation. 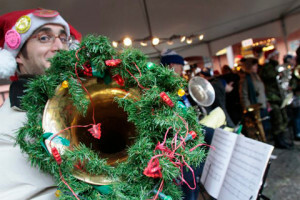 The Market Square concert will raise money for the Times-Colonist Christmas Fund, while monies raised from Sunday’s concert will be used to assist tuba and euphonium projects within the School of Music. 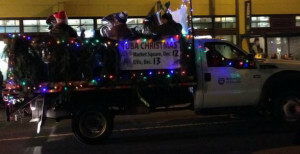 It’s already been a busy year for Beauchesne and the Tuba Christmas ensemble, a handful of whom appeared for the first time in Victoria’s Santa Light Parade on November 28, playing on the UVic float—also a first! Crowds at the parade were estimated around 40,000, and cheers of “Tubas! Tubas!” could be heard along the route. But the larger TubaChristmas ensemble will include local musicians from the School of Music, public schools, community and military bands. 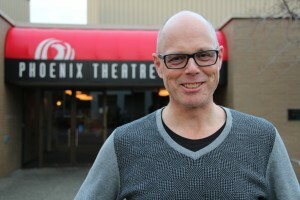 No stranger to local audiences, Beauchesne is a Yamaha Canada Performing Artist, a Distinguished Alumni for the School of Music and has been Principal Tuba of the Victoria Symphony for the past 10 years; last year’s TubaChristmas event saw him stepping in to assist the late Eugene Dowling, who founded the local event in 1983. This year Beauchesne is at the helm for the first time, continuing the tradition that has become such a big part of Christmas in Victoria. The Victoria TubaChristmas ensemble has been featured on CBC radio and television, CTV News and with the Victoria Symphony Christmas Pops program. An international event, TubaChristmas was founded by the late Harvey Phillips of Indiana University back in 1974. It now takes place in over 200 cities worldwide, and honours the late William Bell (1902-1971)—Phillips’ teacher and former tubist with the New York Philharmonic—who was born on Christmas Day. From the first TubaChristmas in New York City’s Rockefeller Plaza Ice Rink, the warm, rich, organ-like sound of the tuba and euphonium choir has won the hearts of audiences time and again. It’s no wonder that TubaChristmas has established itself as a Christmas tradition in cities here and throughout the world. Hot on the heels of accepting the Royal Society of Canada’s Pierce Medal for outstanding achievement in imaginative literature, the work of retired Department of Writing professor Jack Hodgins is taking centre stage once more—literally. 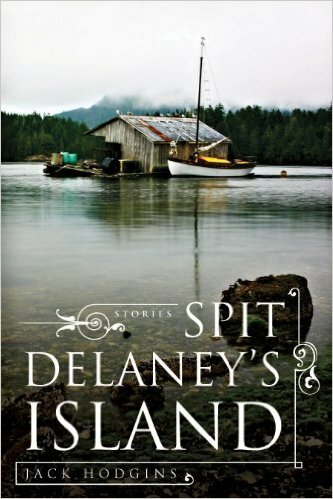 Theatre Inconnu, Victoria’s longest-running alternative theatre company, is mounting a new stage adaptation of Hodgins’ short story, Spit Delaney’s Island, running December 3 to 19. 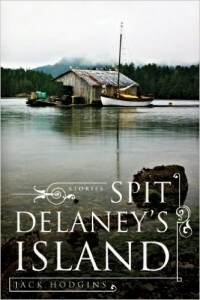 Based on the titular short story in the 1977 collection that earned Hodgins his first Governor General’s nomination, Spit Delaney’s Island focuses on the title character who, after years running a steam locomotive at a Vancouver Island pulp mill, finds himself out of a job when the mill brings in a modern diesel engine. Faced with uncertainty and a profound loss of identity, Spit’s relationship with his family and the world around him is thrown into turmoil. While originally mounted for the stage over 30 years ago, this new Fine Arts-heavy version has been adapted by veteran local playwright and former Writing instructor Charles Tidler, is directed by noted local actor, writer and Writing MFA alumna Karen Lee Pickett, stars Theatre Inconnu artistic director and Department of Theatre alumnus & instructor Clayton Jevne in the title role and features costumes by recent Theatre grad Shayna Ward. Best of all, however, Spit Delaney’s Island is that rarest of stage productions—a story set on our own island. Pickett first read the “Spit Delaney’s” while she was studying in the Writing department. “I don’t know why it wasn’t mounted again, but it makes a great play,” she says. “For this version, Charles has created a whole new draft—it’s tighter and just better.” And while Hodgins himself isn’t directly involved in this production, she says he has read and commented on the new draft. Spit Delaney’s Island runs 8pm December 3 -19, with 2pm matinees on December 5, 12 & 19. Tickets are $10 – $14, with December 9 as pay-what-you-wish admission. Tickets are available online, by email or by phone at 250-590-6291. Theatre Inconnu is wheelchair accessible and is located at 1923 Fernwood Road, across the street from the Belfry Theatre.